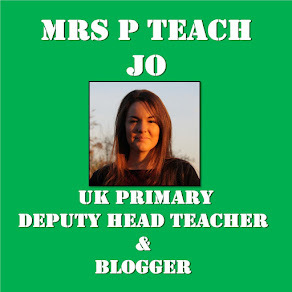 Mrs P Teach: Why TeachMeet? After promoting a local TeachMeet in a teachers’ meeting, I overheard a thought-provoking comment in the staff room the next day. Whilst gazing at the TeachMeet poster I had put up, a teacher who was absent in the previous day’s meeting pondered, “Why would anyone want to do that – actually choose to spend some of their own time meeting with teachers?” So…Why TeachMeets? What are they and why do busy, practising teachers put so much time and energy into running these independent events? Despite going to many TeachMeets in my 2 years of teaching, it’s something that I’d never even considered. I guess the main reason for this is that I’ve thoroughly enjoyed every TeachMeet I’ve ever been to – it’s never felt like a burden. I’ve come away from each one with a tonne of ideas to use in my classroom, new friends who are in the profession and a full belly from a very decent pub meal. Nevertheless I understand that, to those less familiar with them, TeachMeets seem like a less-than-appealing pastime - I’m on a mission to persuade teachers that this isn’t the case at all! TeachMeets are founded on ideas. Teachers sharing their great ideas with other teachers. Sometimes this can be jazzed up with sponsorship, prizes, keynotes and fancy food (cupcakes at TeachMeet Sussex!) but in principle, the sharing of ideas is universal. However, as an organiser of a TeachMeet in a new area, the most difficult job has been getting local people to share their ideas. These mini presentations throughout the evening are the heart of the TeachMeet yet seemingly great practitioners, who have signed up for a teaching event in their own time, are shying away from telling people about what they do well. Again and again I reiterate to people, via Twitter, the website and word of mouth, how simple this should be. The best presentations consist of people spending a few minutes telling other teachers about one simple idea, resource or strategy that has been effective in their classroom. They rarely need a PowerPoint, A/V equipment or even a pre-prepared speech! Having been gently bullied into presenting at the first TeachMeet I went to, I’ve made it a general rule-of-thumb that I will present at any TeachMeet I attend. This isn’t because I like blowing my own trumpet or because I have exceptional ideas – TeachMeets don’t exist for either of those reasons. My understanding is that everybody has something to give – so why not give a snippet of what I do in my classroom? I benefit so much from what other people have to share and my aim, by presenting an idea, is that someone will go away inspired to try something new based on what I’ve said. Teachers are professional people who can make educated decisions about whether a certain idea is worth trying in their classroom so the the ball is in their court as to what they get out of the event. 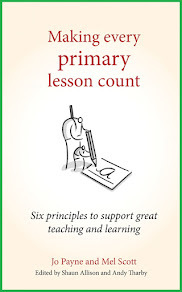 Sadly, there will always be a small amount of teachers who will shun this grass roots CPD. However, for the rest of us, TeachMeets can be that link between work and life – an enjoyable, social event with great food and drink which can inspire and challenge us, reigniting that passion for teaching which prompted us to start out. The added bonus is that you can have a good time without feeling guilty about being “out on a school night”! Note: I organise TeachMeet Sussex which happens in schools around Sussex each term. This post was written as part of TeachMeet UK 2014.